Not a very original container, but the contents are unusual. 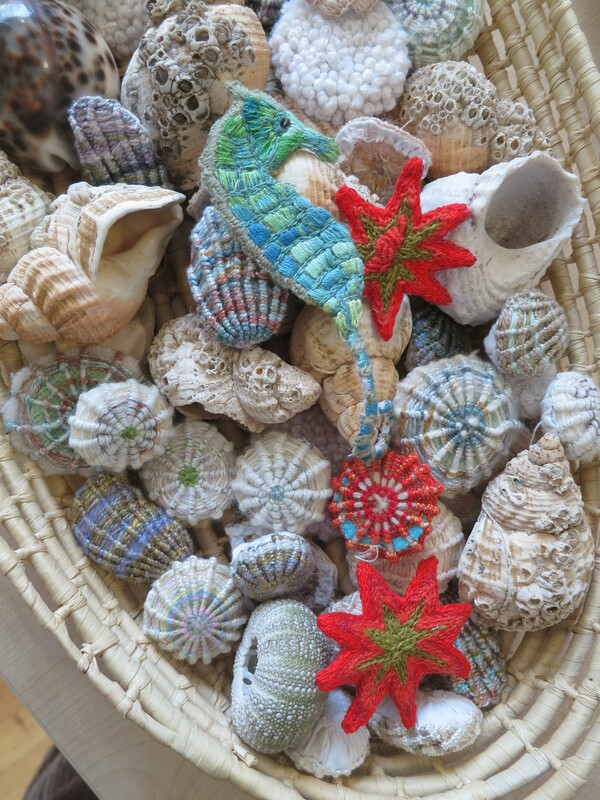 Stitched shells by my friend Fay, and also the real thing. Spotted on Saturday. Full details of the Weekly photo challenge can be found here. Just Snaps has a different interpretation. Sea shells from the seashore. Love them. Thanks, and for dropping in too. These are wonderful! So intricate!